To perform ’13’ THE MUSICAL - 1 NIGHT ONLY 20TH MARCH 2019 THE OTHER PALACE THEATRE, LONDON With amazing reviews from our recent performances of the West End and Broadway hit “13 The Musical” at the Windmill Theatre, we are aiming to take the cast, age 11 - 16, to perform the show for one night at London’s ‘The Other Palace’ Theatre. This is an incredible opportunity for our 13 teenage performers, many of whom hope to make a career in the performing arts industry. The experience of performing on a London Stage for them is not only an incredible “educational” opportunity but in someways a life changing experience. It will give them an amazing credential to put on their application for any college. They are a hard-working bunch, their levels of professionalism in preparing for and performing this show have been a credit to their schools, their parents and moreover to themselves. 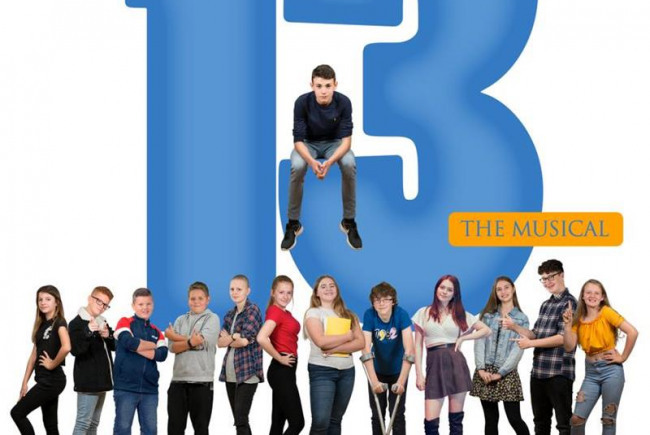 Our brilliant cast in '13' the Musical are Littlehampton teens who have worked hard and with great professionalism to create a fantastic show that received rave reviews at the Windmill Last month. Help us and be part of a wonderful story of our small performing arts school from a seaside town in Sussex take on the West End. We are attracting a lot of media attention which will certainly raise the profile of Littlehampton in a positive way. For all those involved it will be something we can say we have done, it may jump-start careers. Moreover, it will show our whole school community and those who know of us that their are no restrictions on what you can achieve in life with determination, vision and hard-work. We strive to offer every opportunity to all of our students to nurture and support their development and we as a school are not afraid to take risks to do so. These kids are amazing, and we would love to give them the chance to live their dream, even for one night! 'Star Ignited Performance Academy' (SIPA) are based in Littlehampton Town Centre. We are in existence to provide young people in the Littlehampton area with opportunities for growth and personal development through the performing arts. We have been providing performing arts services as well as one-to-one instrument/voice lessons for over ten years in the local area and we showcase our students’ talents in our two main shows each year at the Windmill Theatre. We also perform smaller “review” style performances at local charity events throughout the year and at local care homes where the residents enjoy the happy and vibrant performances of our students. We offer classes for all ages, from babies to pensioners. We aim to keep our prices affordable and offer reduced rates to families who are struggling financially. It is my belief that training in the arts shouldn’t only be available to the privileged. 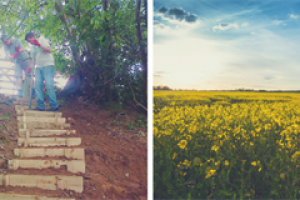 We have many young and teenage students who suffer anxiety and struggle in so many areas of their lives, it is an honour to be told that SIPA is their ‘safe’ place and to hear from their parents and teachers how much we help them grow in confidence and give them something to really look forward to each week. It is also our absolute delight to have many of our older students become helpers in classes for the younger ones, and even come on to staff. They have come up through the school so know our ethos, passing on our unique method of teaching which is primarily to nurture, encourage, include and 'ignite the star' in each student. Project Delivery Manager: Star Ignited Performance Academy The Project Delivery Manager takes legal responsibility for receiving and spending the funds raised and ensuring the project is delivered.